Serving up the finest ethical, gourmet coffee at its branches around South Wales and the West Country, Coffee#1 is committed to sourcing local products and providing great coffee from talented baristas. With comfy chairs to relax in, fab food and drinks to choose from, and a warm welcome for everyone, it’s the perfect place for any tea or coffee break. 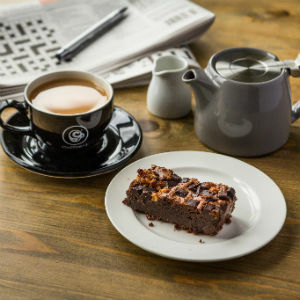 When you visit Coffee#1 at Princesshay, you won’t just find delicious hot drinks – you can also enjoy satisfying snacks, tasty cakes or a nourishing lunch in comfortable, contemporary surroundings. The ideal destination for taking some time out during any shopping expedition!